They will be 8 weeks old on the 28th of September and ready to leave with their new families however, Please note these are small cockapoo's being the Toy cockapoo which is the smallest of the cockapoo breed these boys and girls are very small this comes from dad whom is a very teany toy poodle due to these fur babies size i will make the decision when they reach 6 weeks old whether i decide to keep them with mum just a little while longer this will just be a week if so but will give notice to their new parents if i decide to hold on to them until the week after their due leave date. This will most likely not be necessary as they are being raised at a very high standard with most of my time being given to guide them perfectly through each mile stone and make them independent and prepare them for when they leave mum. They are being raised with all our tender love and care and are under watchful eye 24 hours a day at pride of place in my sitting room. The vet is very happy with them and gave me wonderful comments on the good job i have done with them so far. They will be visiting the vet again for another health check before they leave. Once they reach 4 and a half weeks i will be starting to ween them onto food the first stage will be porridge with milk following this the next step will be their royal canine biscuits softened in gravy and finally by the time they are 6 weeks they will be fully weaned onto the royal canine biscuit as normal. They are being wormed as and when they should be which is at the moment every two weeks due to their age and i will continue to do so until they leave us along with advice to their new parents on what to continue to do at each stage involving the worming and fleaing procedure etc. They will be having their much needed and important first vaccine and microchip as well before they start their journeys outside of our home and care. 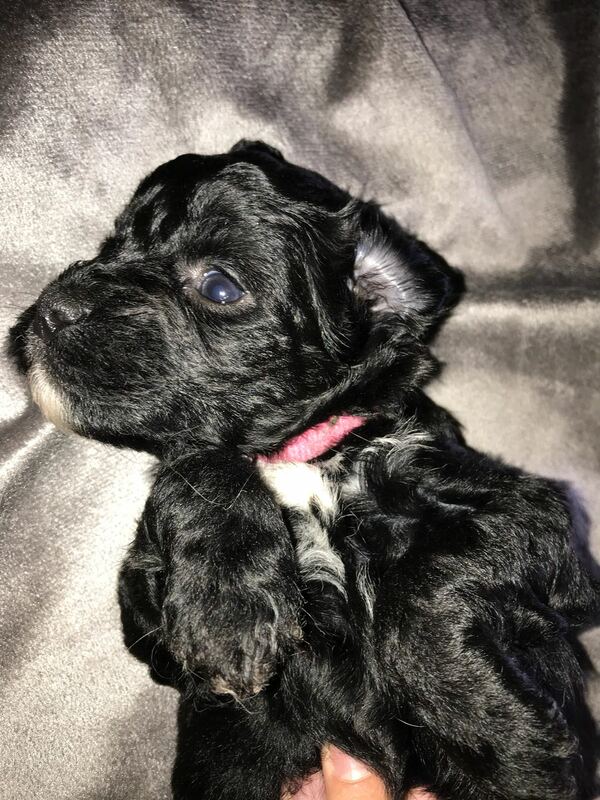 Mum is a small Cocker spaniel shes a very special girl and holds a very special place in our family shes kind and gentle and her nature is some what amazing shes very loyal and truly the most loving girl. she loves to lay and cuddle, enjoys walks loves being praised and loves family time. ( she even actually watches the TV with us lol ) she is definitely no ordinary dog!! My cocker spaniel is a KC registered full pedigree and is without a shadow of a doubt a prime example of the cocker spaniel breed. shes also a brilliant mum these are her first babies and the litter and mating were planned thoroughly. 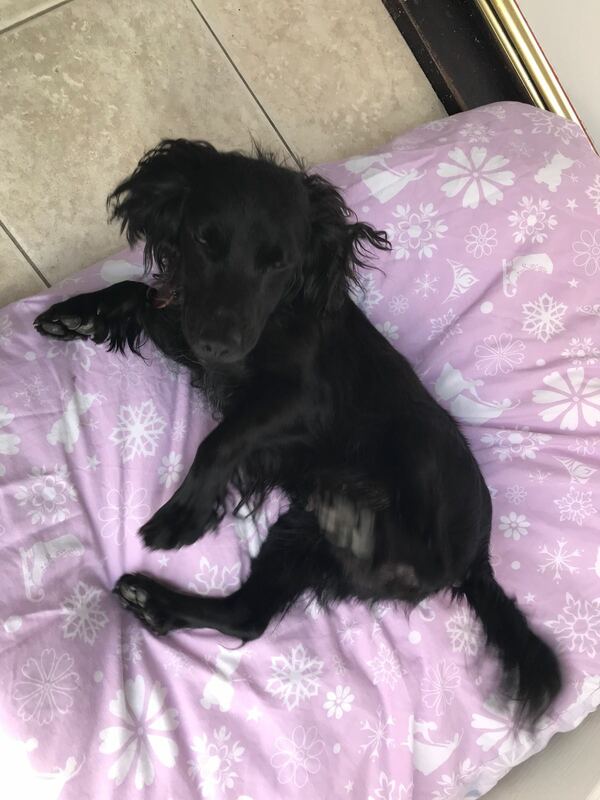 Dad is a stud dog (one that i took much time and interest into finding) and is a Red Toy Poodle he is very tiny (most possibly one of the smallest i have seen) and is 8 and a half inches to the shoulder with a tight curly coat. 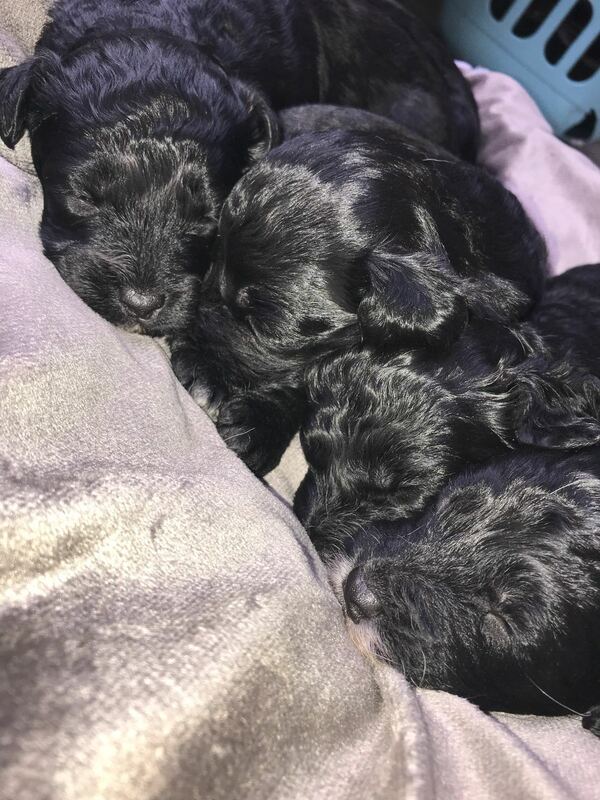 Dad is also KC registered and is DNA TESTED PRA clear so these special little cockapoo's will never be affected. Dad's paperwork and photos will be shown upon viewing as will mum's although obviously mum will be at the viewing with her boys and girls for you to meet her as well and i'm sure everyone will all love mum! 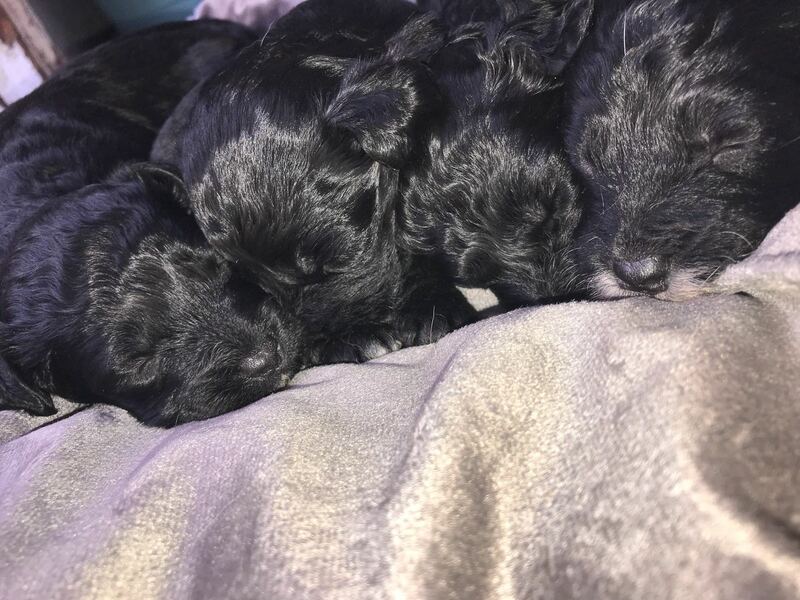 These cockapoo's are F1 which means they are first class cockapoo's for those that are unsure this means ( a cocker spaniel cross Toy poodle ) which produces the true cockapoo. I am also flexible with dates of leaving for their new families as i have taken thought and consideration into holidays and family circumstances and want only the most loving kind families for these girls and boys so will be willing to work around dates for good families that want one and can give them that forever special home. 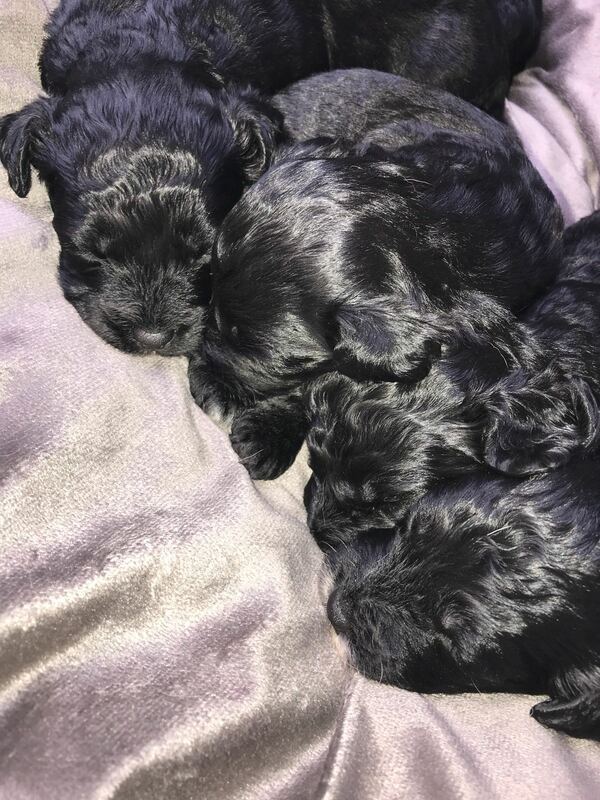 The photos really do these teddy bear babies no justice they are truly gorgeous and have outstanding shiny black curly coats. 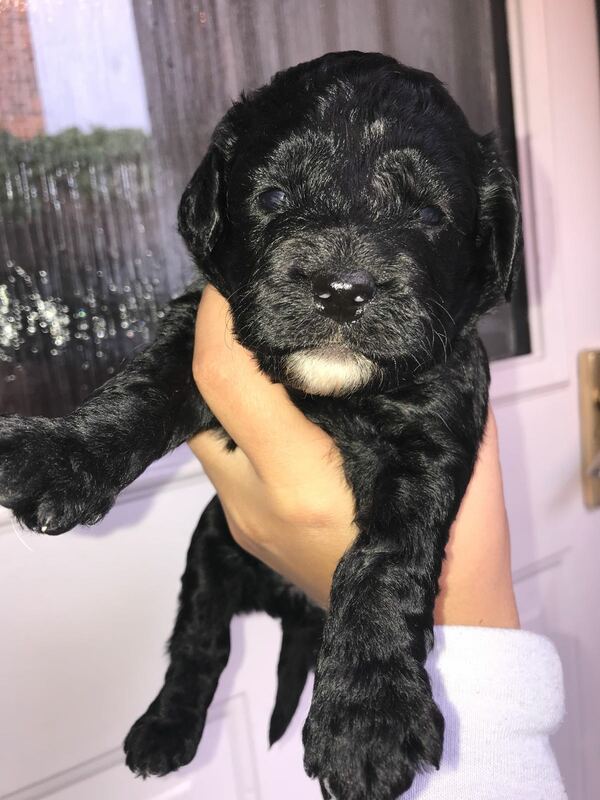 myself and our family have now taken the decision to keep one of the little teddy bear boys in our own family and also so he is with his mum so my girl has the opportunity for her baby to grow and nurture with her. These two little boys and girls will leave us with a puppy pack which will consist of a full bag of royal canine a lead and collar and also a harness they will have a set of bowls and other vital items to go on their way not only as it will give me sound peace of mind that their basic needs are met but also as a massive fair well and thank you from me and their mum for giving us the amazing opportunity and happiness that we've been so lucky to have from them. a £250 deposit will be taken to secure your chosen one.